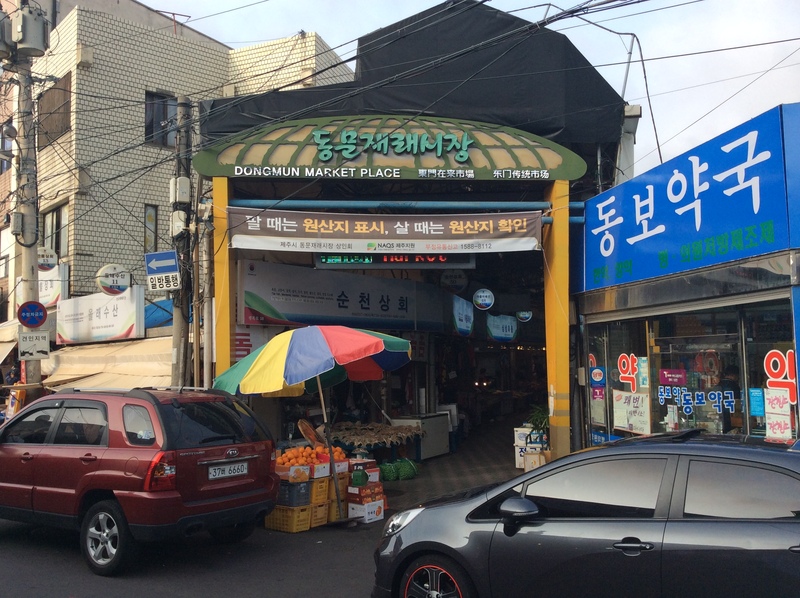 Visit Traditional Markets Where Locals Shop! 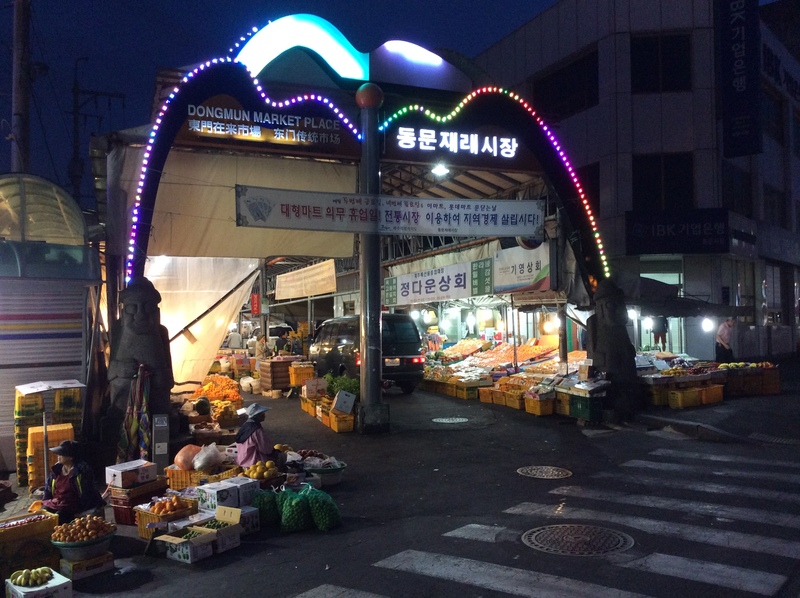 Now it’s time to visit some markets near 중앙로(Jung-Ang Ro.) Locals and youngsters shop their clothing and buy food here. 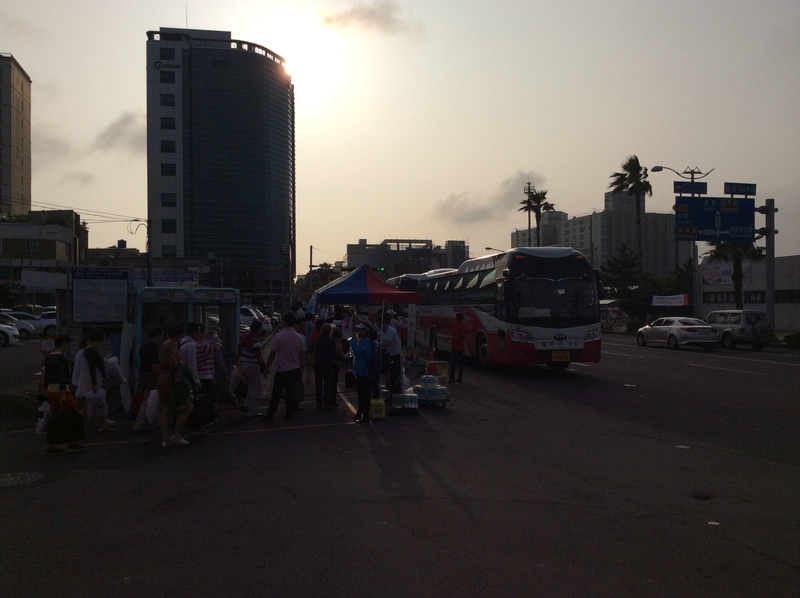 You’ll see so many Chinese tourists here. Now it’s your turn to visit here.You’ll have to get off at this bus stop. When you get off, you’ll see the road in front of you. 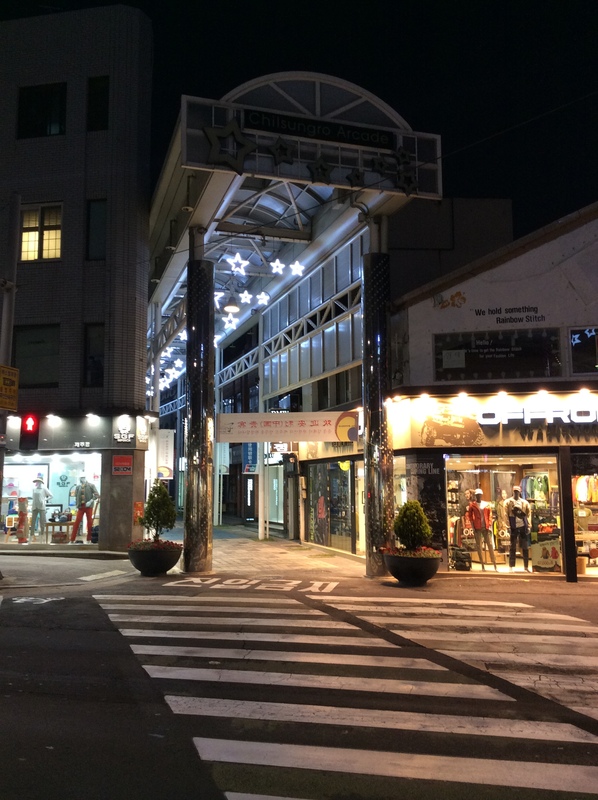 on the right side, you’ll find JungAng Shopping Street Alley. Go inside the alley and see the local merchants. 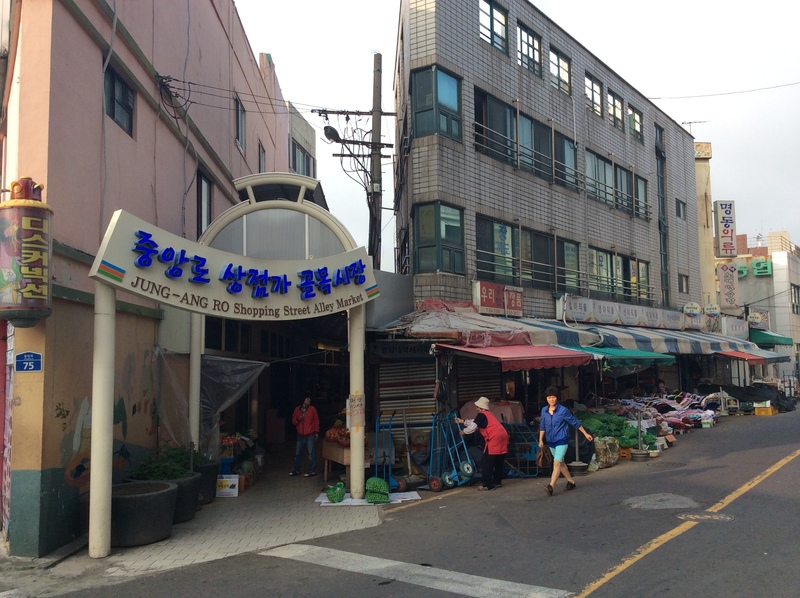 At the end of the Alley, you’ll find Dongmun Traditional Market. You can go inside or turn left. 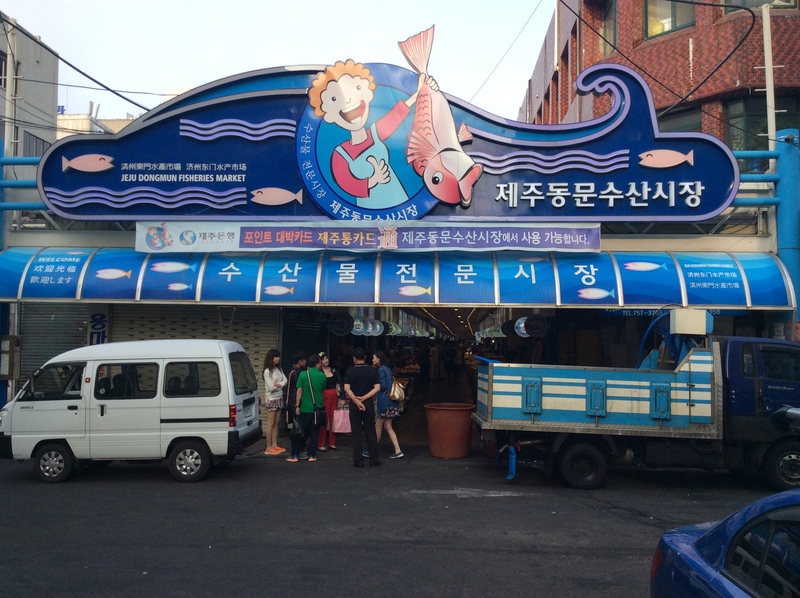 On your way down to Top-Dong, you’ll see Fisheries Market along the way. 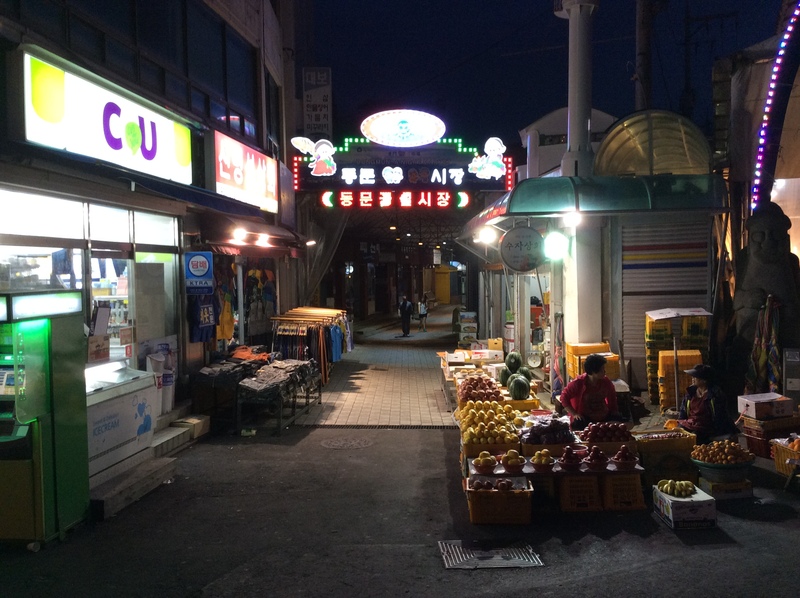 On your way to Top-Dong, you’ll see place called Chil-sung-ro, Myeong-dong of Jeju. Top-Dong awaits you! 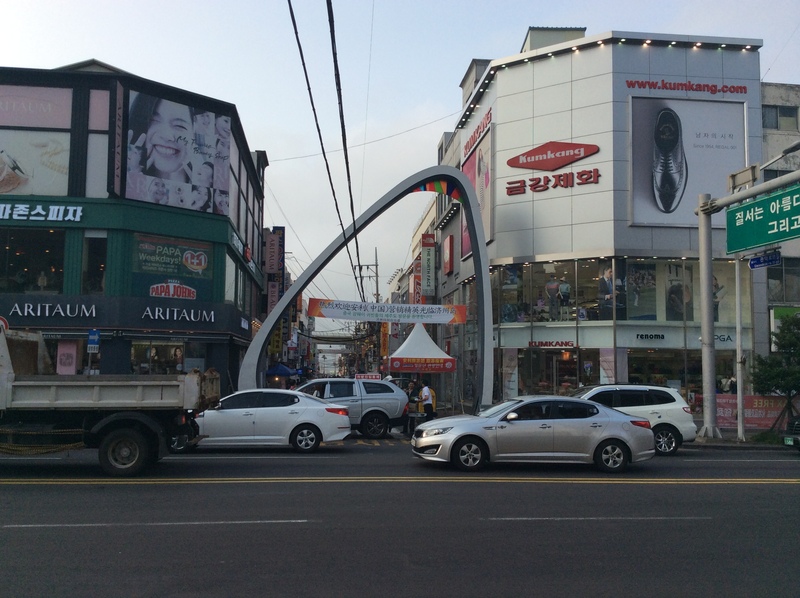 Hope you enjoy your view of Top-Dong!